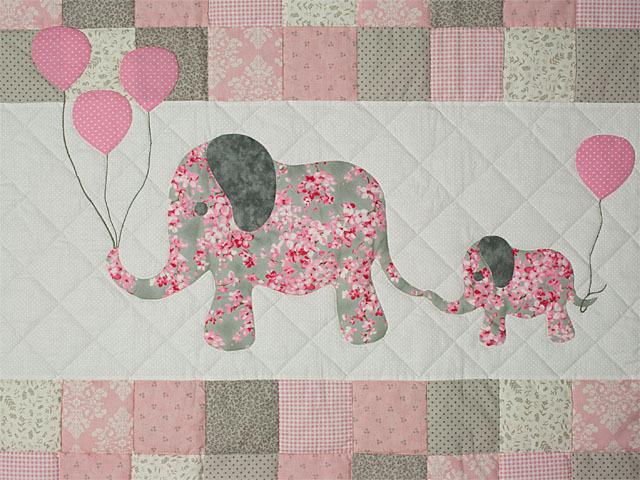 Awwww -- This crib quilt is simply adorable and to know what a great example it is of patchwork and hand appliqué and hand quilting all coming together. 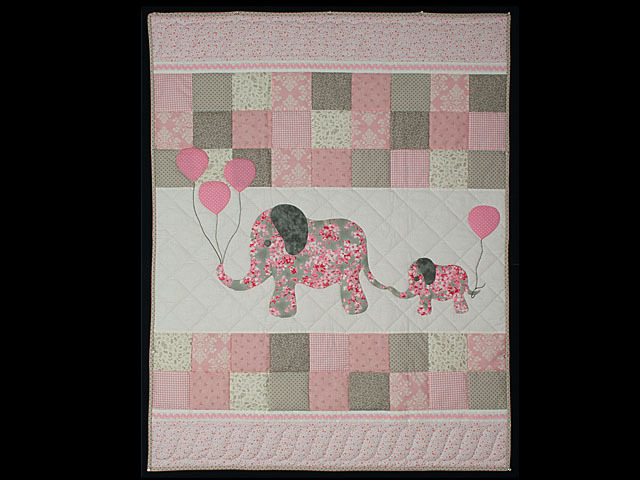 The fabrics are 100% quilter's cottons and the touch of rick-rack on the top and lower part of the quilt is just clever! 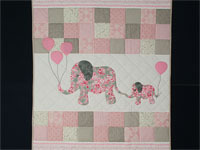 Mommy elephant displays such a touching and sweet example of her love for her little one. 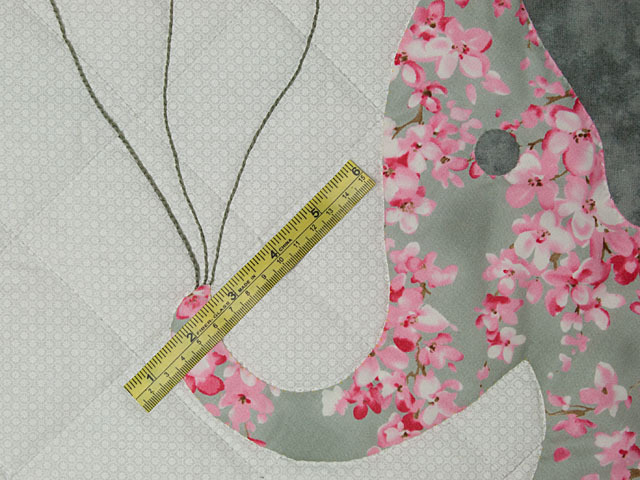 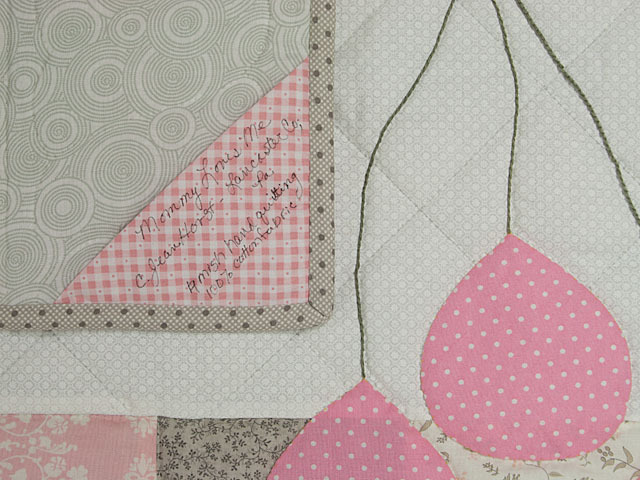 The backing is 100% cotton in a gray circular pattern with a cute corner tag documenting the name of the quilt, the maker, date and fabric content. 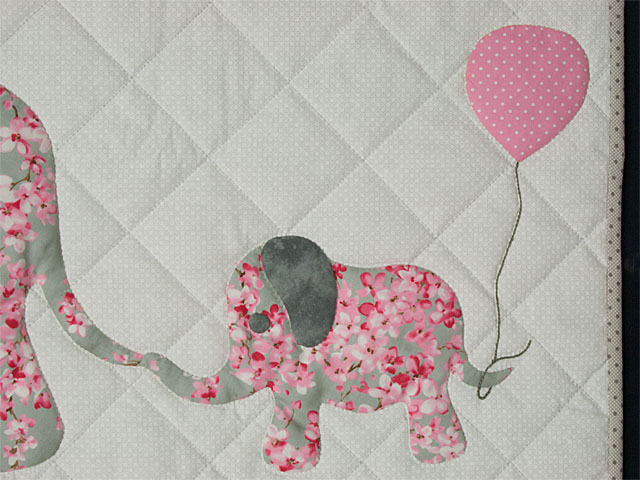 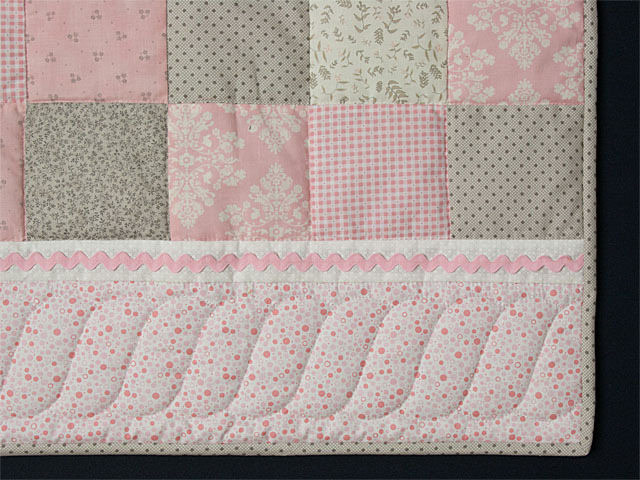 A cute little crib quilt for that special little girl. Pattern from QP Designs.